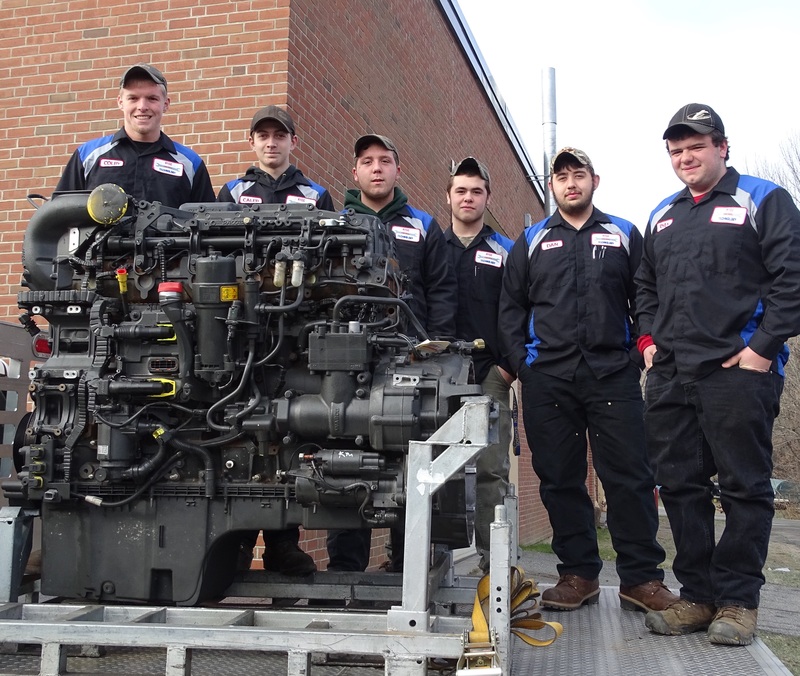 The Diesel Technology program provides students an opportunity to learn real-life skills while learning Diesel Technology theory and completing applied technical projects. Led by an instructor who is ASE Master Certified in Truck, Auto, Service Consulting and Parts, the program begins with students learning a variety of methods including repair, service and maintenance of diesel engines in a variety of forms: automobiles, agricultural & construction equipment, trucks, and buses. Students have the opportunity to work with customers, suppliers and other professionals. The program culminates with students completing an intensive individualized project that tests their knowledge and learning of real-world methodologies. Our students work on leadership skills through involvement with Skills USA. Other opportunities for eligible students may include: earning a Commercial Driver's License (CDL); taking an early college class; industry training from Freightliner and Peterbilt; Automotive and Diesel ASE certifications; and cooperative work opportunities. From welding to rebuilds, students thrive in our custom equipped shop. During the 2017-18 school year, students in the Diesel Tech program earned a combined total of 256 certificates from recognized and respected providers such as Meritor, Fleetguard Filters, Peterbilt and Freightliner - the same certificates that are earned by diesel mechanics that work in the industry. They can also take up to 4 ASE Certification Exams and earn advanced placement and 12 credits in Ohio Tech’s Diesel Program. Students are also able to train and test for the National Automotive Student Skills Standards Assessment in Medium/Heavy Diesel systems. Students applying to the Diesel Technology program should be interested in careers as diesel technicians, heavy equipment operators, truck drivers or related occupations; a desire to learn real-life skills related to Diesel Technology theory and application; a commitment to completing all assigned coursework; a willingness to engage in applied technical projects as well as significant classroom instruction; and an ability to exhibit initiative, responsibility, and accountability.